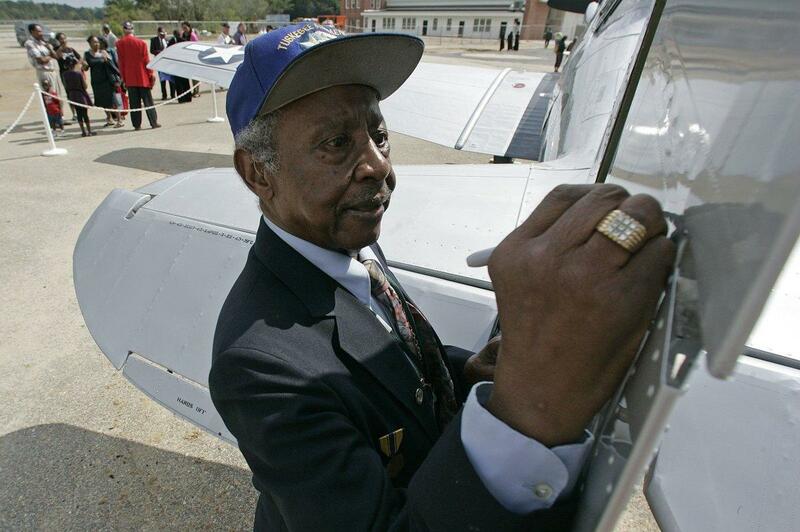 Floyd Carter Sr., one of the remaining members of the famed all-African-American Tuskegee Airmen, died Thurs., March 8. He was 95. Carter joined the Army Air Corps in 1944 and was commissioned a year later as a 2nd lt. bombardier navigator. In 1946, he received his pilot wings and transferred to the Air Force Reserves the following year where he went on to fly with trailblazing Tuskegee Airmen. According to the Daily News, he during the Korean and Vietnam wars, and led the first squadron of supply-laden planes into Berlin during the famed Cold War airlift of 1948-49. During the Tet Offensive, Carter flew U.S. supplies and troops into South Vietnam. In March 2007, then-President George W. Bush, on behalf of the U.S. Congress, awarded the Congressional Gold Medal to Carter and the Tuskegee Airmen. “I thank you for the honor you have brought to our country, and the medal you are about to receive means that our country honors you,” Bush said to the roughly 300-member audience of surviving airmen, Tuskegee Airmen widows, and other relatives, prior to presenting the congressional award. Not only was Carter a decorated combat vet of three wars, he was also a 27-year veteran of the NYPD. He joined the force in 1953, became a detective within three years, and retired 27 years later in 1980. While serving on the NYPD, Carter worked as a bodyguard for visiting heads of state. His son Floyd Jr., recalls him spending time with Cuban leader Fidel Castro and Soviet head Nikita Khrushchev. The NYPD stopped to remember Carter following his passing. “We mourn the loss of a true American Hero. Lt. Col. Floyd J. Carter, USAF Ret. Famous Tuskegee Airmen & a Congressional Medal of Honor recipient, served WWII, Korea & Vietnam wars. Retired from NYPD, 26 yrs as a Det. 2nd Grade. Our Community & Nation has lost a giant,” Tweeted the NYPD 47th Precinct. The NYPD echoed the 47th precints sentiments on Twitter. “We are saddened by the death of 27-year vet of the NYPD – Detective Floyd Carter Sr. Det. Carter dedicated his life serving our nation & NYC. He was one of the remainig Tuskegee Airmen & a vet of 3 wars. He inspired many to follow in his footsteps. #Hero,” they also tweeted. Carter is survived by his wife Atherine, their two children Floyd Jr. and Rozalind, grandchildren and great-grand children. Appreciating the persistence you put into your website and inn depth information youu present. that isn’t the saqme unwanted rehashed material. Fantastic read!